Florida-licensed marriage and family therapists have a license renewal every two years with a March 31st deadline, odd years. Thirty (30) continuing education hours are required to renew a license, and there are no limits for online CE courses if NBCC-approved. National Accreditation Accepted: NBCC, APA, ASWB – Professional Development Resources is approved as a provider of continuing education by the Association of Social Work Boards (ASWB Provider #1046, ACE Program); by the National Board of Certified Counselors (NBCC Provider #5590); by the American Psychological Association (APA); by the Florida Board of Clinical Social Work, Marriage & Family Therapy, and Mental Health Counseling (Provider #50-1635) and is CE Broker compliant (all courses are reported within 1 week of completion). 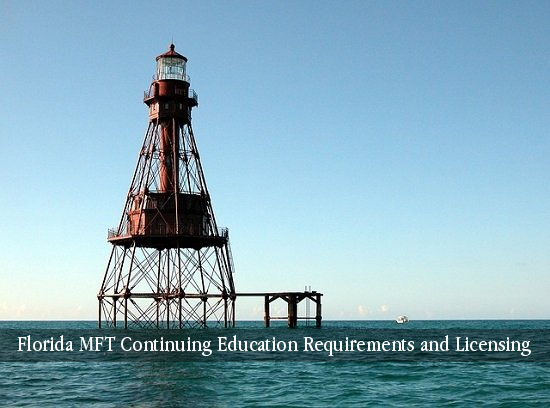 Florida MFTs can earn all 30 hours for renewal through online courses offered on the Marriage & Family Therapy page of this site. Click here to view Florida-approved online CE. 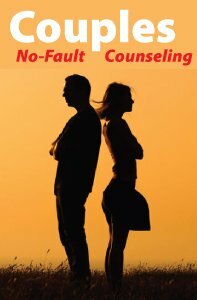 Couples No-Fault Counseling is a 3-hour online continuing education (CE) course that teaches how to help couples to give up their BAD (blame, argue & defend) communication style and replace it with active listening. Couples counseling is a challenging undertaking for both counselors and couples. Counselors need to take a detailed history of both partners and gradually discover the real reasons they overreact to certain things their partner says and does. Couples need to be motivated enough to keep counseling appointments and need to believe that they can improve their relationship. This course will share four interesting case studies, where you will witness couples who came to therapy for an identified problem and left with a much greater understanding of the underlying causes of their difficulties. The studies clearly reveal the reasons the partners were attracted to each other, and how what they can learn from one another began in their childhoods. After taking this course, you will know how to help couples to give up their BAD (blame, argue & defend) communication style and replace it with active listening. In doing so, you will help them to create more harmonious relationships by increasing the empathy they feel for each other. By helping a couple who has children, you are making a positive difference in the couple’s lives, in the lives of their offspring and in the lives of countless unborn generations. The Couples No Fault Workbook, with twelve exercises to help couples begin their journey into greater self-awareness, is included at the end of this course. This course is focused upon the ethical principles that are called into play with the use of e-therapy. Among them the most obvious concern is for privacy and confidentiality. 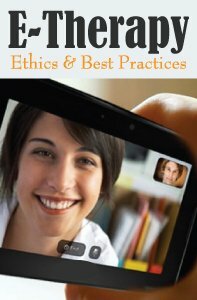 Yet these are not the only ethical principles that will be challenged by the increasing use of e-therapy. The others include interjurisdictional issues (crossing state lines), informed consent, competence and scope of practice, boundaries and multiple relationships, and record keeping.In addition to outlining potential ethical problems and HIPAA challenges, this course includes recommended resources and sets of specific guidelines and best practices that have been established and published by various professional organizations. Cyberbullying is a 2-hour online continuing education (CE/CEU) course that reviews evidenced-based research for identification, management and prevention of cyberbullying in children, adolescents and adults. Bullies have moved from the playground and workplace to the online world, where anonymity can facilitate bullying behavior. 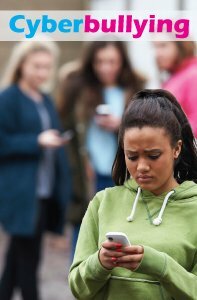 Cyberbullying is intentional, repeated harm to another person using communication technology. It is not accidental or random. It is targeted to a person with less perceived power. This may be someone younger, weaker, or less knowledgeable about technology. Any communication device may be used to harass or intimidate a victim, such as a cell phone, tablet, or computer. 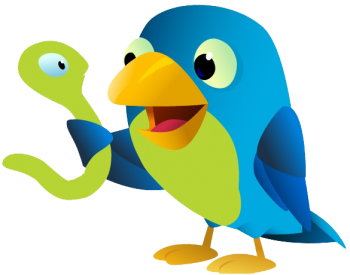 Any communication platform may host cyberbullying: social media sites (Facebook, Twitter), applications (Snapchat, AIM), websites (forums or blogs), and any place where one person can communicate with – or at – another person electronically. The short and long-term effects of bullying are considered as significant as neglect or maltreatment as a type of child abuse. This course will describe specific cyberbullying behaviors, review theories that attempt to explain why bullying happens, list the damaging effects that befall its victims, and discuss strategies professionals can use to prevent or manage identified cyberbullying. Cyberbullying is a fast-growing area of concern and all healthcare professionals should be equipped to spot the signs and provide support for our patients and clients, as well as keep up with the technology that drives cyberbullying.